Of course, artists and fans don’t need a network or a website to do a house show. Some fans are hosting islands, operating on their own terms. Doug Hacker lives in southern Vermont and found it hard to travel to larger, nearby cities for shows after he had kids, so he started the Billsville House Concert series in 2011, hosting bands like Strand of Oaks, Field Report, Anais Mitchell, and Zammuto in his living room for about 65 people. Hacker’s 15-year-old son runs the sound (a full PA with monitors and 16-channel mixer) and his other son works the door. Tickets run about $15, and the band gets 100% of the door, minus $75. We were a little stunned to realize that our last actual “house” show was over two years ago in Williamstown. Since then we’ve hosted plenty of shows at spaces like the Vermont Arts Exchange, The North Adams Elks Club and The Inn at Willow Pond. We were really looking forward to returning to our roots and we couldn’t think of a better band than Ark Life. The weather was perfect, the house was full and the band? Well, the band delivered everything you could want. Wildly talented, engaging and above all just plain locked into a groove of fun. Here then are a few (iPhone quality) videos to give you a feel of the house vibe that we enjoyed so much. Thanks to everyone who came out to the show and, if you missed it, we’ll see you at the next one! Lake Street Dive really took off once its members figured out the band was founded on a bad idea. The four undergraduates in the jazz program at the prestigious New England Conservatory of Music sat in a room and drew up plans to create a new genre — “free country,” an amalgam of Ornette Coleman and Loretta Lynn, as the band’s bassist Bridget Kearney has explained. Once they started gigging together and recording demos, though, it became clear that other musical voices were clamoring to break through. “We’d done a couple tours out in Iowa and were driving around and realized we all shared a love of a lot of the same pop music. That was also sort of a sign that we should forget the whole free country idea and get moving on some nice little three-minute songs,” recalls drummer Mike Calabrese. The emerging sound was a neo-soul stew with the raw energy of a garage band and plenty of 1960’s-era pop inflections, built from Kearney’s unflaggingly dexterous touch on acoustic bass, Calabrese’s very musical drumming, singer Rachel Price’s soulful croon and Mike Olson’s bright trumpet lines and grounding guitar parts. cozy stomping grounds of the Lizard Lounge in Cambridge this month, it did so with a four-night run. Lake Street Dive plays Helsinki Hudson in Hudson, N.Y., on Friday, and then a sold-out show the next night under the aegis of Williamstown’s Billsville House Concerts at the Vermont Arts Center in North Bennington, Vt. The 2011 covers CP “Fun Machine” includes Lake Street Dive-ified takes on tunes by George Michael, Hall and Oates and Paul McCartney, among others. There, and on its albums of original material, the band manages to sound like a very effective, small-group spin on the neo-soul movement, but with the low-overhead flexibility and interplay of a string band or jazz combo. As it’s proven, it can conjure the romance of a smoky nightclub through four minutes of intense performance out on the sidewalk in mid-afternoon. “We’ve been getting a lot more gigs, a lot more press, a lot more attention on social media. It’s been super exciting,” observes Calabrese. Though the band hones its organic interplay through plenty of solo gigs, the opening slots have demonstrated the band’s sound can meld with a variety of other musical styles. The hip, candlelit dinner-theater vibe of Helsinki seems an ideal setting for Lake Street Dive. But Saturday’s show in Vermont may be a little more off-the cuff. Though it’s at more of a proper venue than usual, it’s the latest in Doug Hacker’s informal concert series. Launched in April 2011, the Billsville House Concerts have featured more than 40 shows, Hacker says. “One of my favorite musicians in the world was playing for me and all my friends, and I was sitting on the couch four feet away,” Hacker recalls wistfully of the debut concert, featuring singer/songwriter Joe Pug. Typically located at the Hacker family’s home in Williamstown, but sometimes at friends’ barns or other larger sites, the series has included such rising acts as Sean Rowe, Brown Bird, and many others who’d typically play Helsinki or other, larger venues. The Hackers can squeeze in about 50 people at their home, and keep in touch with their regulars through email announcements. All of the ticket money goes directly to the artists, who are also fed and housed for the night. Here are a few live tracks from Spirit Family Reunion and Hurray For The Riff Raff. What a night, what a night, From the honky tonk blues and harmonies of Broken Wing Routine to the southern country folk of Hurray For The Riff Raff and Alynda Lee’s amazing voice to the energetic burst at the seams energy of Spirit Family Reunion. 10 dollars? 10 dollars? This was a million dollar night. – You can hear the crowds pent up energy just explode on SFR’s first song! DANCE PARTY! Did I mention an eight song encore that moved from rave up roots to rock to The Beatles to sloppy musical love? Let’s do it again soon. Here’s the entire YouTube playlist from our friend Nanci. A few that stood out for me are posted below. At 23 – Liz’s songwriter skills are simply amazing. We expect huge things from her in the future, we’ll be lucky to say we had her here. WILLIAMSTOWN – The news is filled with stories about the faltering music industry, but there is one area where the music business is booming – in private houses, where some musicians have begun performing intimate shows for small audiences, and getting paid well for their time. It hearkens back as far as the days of Mozart, when music was performed in the parlors of the rich, and has recently made a big comeback, especially in the classical and folk worlds. Quite different from the prognosis of big record labels, this is one area of the music world that leaves everyone – artist and consumer – happy. “It’s one of the few things in the arts I have ever seen, where everyone feels like they got a good deal at the end of the night,” said Doug Hacker, who runs an on-going series of house concerts out of his own home in Williamstown. Hacker’s Billsville House Concert is a great success and yet Hacker gets no money for it. The performer gets 100 percent of the money taken in – donations from the attendees, which usually number around 40 to 50 people – plus free room and board. The audience gets an intimate concert experience. Hacker and his family get time with some of their favorite musicians. Everyone bypasses a middle man. The process is straight-forward – Hacker takes donations, 100 percent of which he hands over to the musicians. In return, they perform. Then they eat and sleep. The desire to host concerts began to cross Hacker’s mind as he found it increasingly difficult to see live music. With two kids, it wasn’t easy – nor always affordable – to take off for Northampton to catch a band. He certainly wasn’t likely to do so casually. It was after friends in North Adams hosted a house concert that Hacker began to consider the idea more seriously. He and the others in attendance had a blast and Hacker began to think about extending that experience. Hacker did just that, and within two hours of emailing Pug’s manager, he got a confirmation that Pug would play the house concert. At Hacker’s place, 40 people showed up – Hacker had gotten the word out largely through social media and email to his friends – and not only was a good time had by the crowd, but Hacker saw first-hand how he was actually being paid for arranging the show. That has continued to be the payback for Hacker over the last year. He hosted 16 shows in 2011 with more to follow in 2012, and can boast as many meaningful experiences that never would have transpired in a typical performance spot. The economics of performing a house concert is great for a band and Hacker has found that the sound business sense has accounted for an over-80 percent rate of commitment from the performers – and most of the time, when the musician does say no, it’s just because a day off is a bigger desire than anything else. Hacker targets a certain kind of act. One criteria is that they are a band he is interested in – it is, after all, his house. Another is that the performer can work in an almost entirely unplugged arrangement – his living room offers minimal amplification. This demand favors folk-oriented acts, but that doesn’t mean there aren’t exceptions. One band that recently played, Kingsley Flood, is known for their loud and raucous shows in Boston, but Hacker’s house offered them the chance to reveal their energy in a completely different way. Hacker also pays attention to the venue level that the performer is used to – he doesn’t want to waste anybody’s time by making offers to someone who would never do a house concert. That doesn’t mean he hasn’t been able to get some names that can be a huge draw. Canadian singer Dan Mangen played for 40 people in Hacker’s living room, and then left to sing for 12,000 in Albany – and that’s not counting the crowds he gets in his own country. The David Wax Museum played for 50 people at Hacker’s place – two weeks later, they were on the main stage at the Newport Folk Festival. Hacker hasn’t yet had to deal with getting too big for his living room in any regular way – a couple shows last year were performed in a barn on the outskirts of Williamstown because Hacker knew there would be well over 100 people at them – but he doesn’t see the problem in having a limited number of seats available. Hacker’s show schedule can be found online at billsvillehouseconcerts.com. The next show is on Friday, Jan. 13, at 8 p.m., featuring Spirit Family Reunion. Guggenheim GrottoWhat needs to be said about a perfect Berkshire night that ends like this? Other than it did not end until we sang a song by EVERY IRISH MALE SINGER until 3AM in the barn. While we highly recommend purchasing everything from everyone who has ever played here we’re featuring these three records which were released in the last few weeks. An example of haunting classicist folk from artists who know what they’re talking about, Salt for Salt is hands down the best folk album I’ve heard this year, stunningly arranged and executed. This album is a spectacular example of what can be done within the framework of traditional music to push it into the headphones of a new generation, without falling victim to incongruous stabs of modernity. It also signals the fully-formed arrival of Brown Bird as a band you’ll be hearing a great deal from in the future. 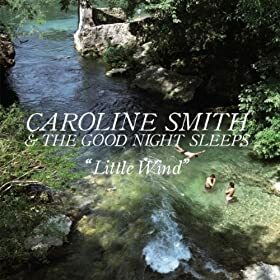 The Good Night Sleeps provide fantastically crisp and pleasant backing for Caroline Smith, who’s voice (a sort of mixture of Jolie Holland, Charity Rose Thielen from The Head and The Heart and Sallie Ford) is the star of the album. It stuns and disarms on the haunting ‘Eagle’s Nest,’ manages to sound sweetly dangerous on ‘Denim Boy’ and bursts and blooms perfectly on standout ‘Calliope.’ Little Wind is a collection of songs that shows a band trying different approaches and styles while always remaining true to their core sound, that of a refreshingly honest and sincere indie pop band. Oh Fortune is an excellent record, expansive in scope yet efficiently delivered and both musically and lyrically rich. No, there’s nothing as immediate as “Robots” but in lieu of that degree of immediacy, you get songs that continue to reveal themselves over repeated listens. 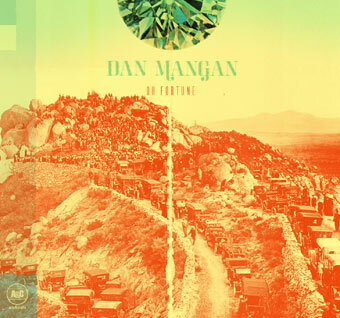 Oh Fortune confirms Mangan as one of this country’s best new songwriters and, as a bonus, forces those who’d seek to dismiss him as too conventional to find a new line of criticism. Maybe that he’s too tall. Because he’s pretty tall. Final two songs of the night at the big piano. Caroline Smith and The Good Night Sleeps treated us to a fantastic show to close out this years series. I was impressed with their ability to back off the complexity and sound of their new record “Little Wind” and delivery the songs in our small space. That said, please do go and get yourself a copy of “Little Wind” to hear them do it in the other direction as well. This week the nominees for the Boston Music Awards came out and we’re thrilled to see plenty of folks who’ve played here on the list. The David Wax Museum is nominated for Artist of the Year and Song of the Year for “Born With A Broken Heart”. We’ve been in touch with The Wandas about playing a date in the future as well. I know I was dangerously close to over-marketing this event but, what can I say. An evening of musical genius. Those of you who made it know what I’m talking about. If you didn’t here’s a bit of what you missed. We like to keep you updated on all the news from folks who’ve appeared at a Billsville House Concert – and there’s lots of news out there so lets get going. Brown Bird is releasing their new record “Salt for Salt” on October 14th and they have quite a few pre-order offers going as well. I like this one. . . If you give $60: Copy of the record, download of ‘Big Bright Sun’, stickers, I’ll record the voicemail for your phone or cell phone (I can sing it if you want! ), and I’ll send you a lovely thank you note expressing my gratitude. I’ll also send you a fabulous t-shirt available only to folks who contribute to the making of the record, specially created and personalized just for you!